Table Mountain National Park – natural world heritage site and home to one of the New 7 Wonders of Nature – is a haven of magnificent mountains plunging into crystal seas fringed with the white sands of the Cape Peninsula. The Park stretches from Signal Hill in the north to Cape Point in the south and is home to the world’s smallest, yet most diverse, floral kingdom – The Cape Floristic Region. 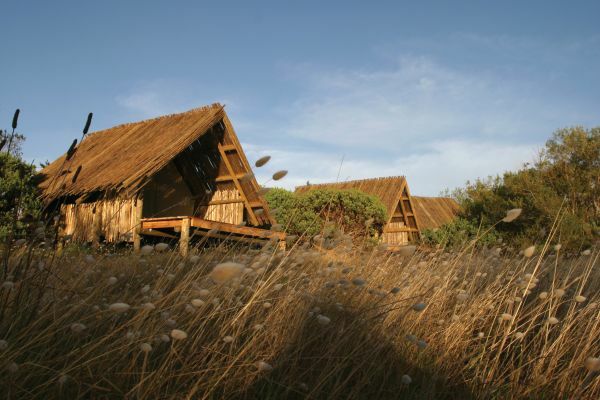 There are a number of wonderful places for overnight getaways within the Park including comfortable tented camps in remarkable locations; quaint cottages inside the Cape of Good Hope section; the historic Wash Houses, also popular for small events; and Overseers Mountain Cottage right on top of the mountain. With its wealth of natural, cultural and historical treasures, Table Mountain National Park really has something for everyone – from adrenaline-seeking sports fanatics and nature enthusiasts to families wanting to unwind in unrivalled natural surroundings. Take advantage of the SANParks Wild Winter Special* – 20% discount off all accommodation from 1 May 2013 to 21 June 2013 and from 15 July 2013 to 31 July 2013. Email: tablemountain@sanparks.org to find out more. Like the Park on Facebook: SANParks – Table Mountain National Park for regular updates. This entry was posted in Uncategorized and tagged Accommodation on Table Mountain, SANParks Wild Winter Special, Table Mountain National Park. Bookmark the permalink.